For one of our valued clients in the banking industry, we are looking for a Customer Support Executive with excellent knowledge of Hindi and English. We know our products inside out, so you can answer questions. Processing orders, forms, applications and inquiries. Records of customer interactions, transactions, comments and complaints. Communicate and coordinate with colleagues as needed. Feedback on the efficiency of the customer service process. 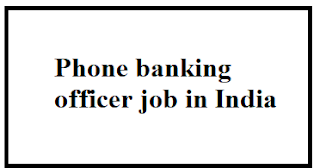 Applicants who can apply for this role: Freshher, Call Center, Voice Process, Customer Service, Customer Care, Account Manager, Customer Care, BPO, CSR, CRO, CSE, CSA, Domestic Voice and Tele-Caller.